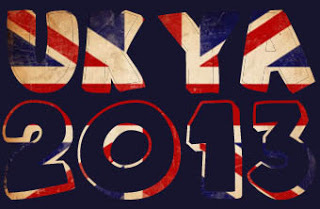 August isn't too far away, mark your calendars! Devastated by the loss of her friend and under constant threat from an unknown spy at Cimmeria Academy, Allie Sheridan is finding it hard to cope. 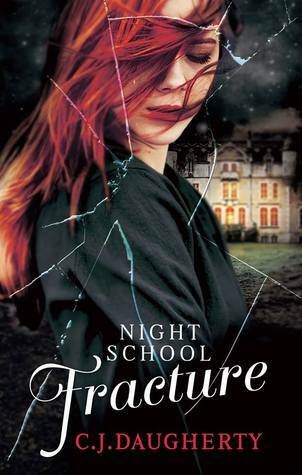 In Fracture, the third book in the Night School series, she’s not the only one losing it – everything is falling apart. And when Nathaniel begins to reveal his game plan, Isabelle starts to lose control. As the school slides into a deadly morass of paranoia and suspicion, everyone is guilty until proved innocent. Anyone can be held without proof, and convicted without a trial. No one is safe. This time Nathaniel doesn’t need to hurt them. This time they’re hurting themselves. What are you waiting on today? I really need to get a move on and read this series. So many books, so little time has become my life motto ;) Great pick! That's a pretty fitting motto, Zoe! I still need to read this series! I've heard it's really good so I can't wait to get to it. Great pick! Thanks Hollie! It is a fabulous series. I love that it isn't paranormal and that it has great characters and plenty of twists! I have the first book on my TBR pile so will hopefully get around to it sometime this summer. Great pick, Clover! Yay!! Someone else who loves this series as much as me! I am so excited for the release of this book I'm counting the days. I hope you enjoy it as much as the first two books!